Arsenal forward Olivier Giroud’s audacious scorpion kick against Crystal Palace last January has won him FIFA's Puskas Award as the best goal of the year on Monday. Cristiano Ronaldo won FIFA’s Best Player award for the fifth time after a brilliant 2016-2017 with La Liga champions Real Madrid. Arsenal’s French forward overcame competition from Venezuela Under-17 women's striker Deyna Castellanos and South African goalkeeper Oscarine Masuluketo to lift the award of the best goal. The goal came from an Alexis Sanchez cross when Giroud attempted to flick a volley with his left foot after he had run ahead of it. It was the first goal of Arsenal’s 2-0 win over Crystal Palace and although it didn’t get the Premier League goal of the season award, it was declared the winner at a ceremony held at the London Palladium on Monday. His goal won 36.17% of the 792,062 votes cast. Accepting the award, Giroud said, "First of all I have to say it's an honour for me. I'm delighted to receive this trophy today in front of legends of football. Now l'd just like to thank the people who voted for me. I would like to congratulate the 10 nominees who scored amazing goals too. Obviously, I would like to thank my teammates, without them I couldn't score maybe this goal and my family." Among the other most coveted awards, Portuguese Cristiano Ronaldo won this year’s FIFA best player award, as he now joins nemesis Lionel Messi as a five-time winner of the award. Messi finished runners-up to him with Paris Saint-Germain’s Neymar at the third position. 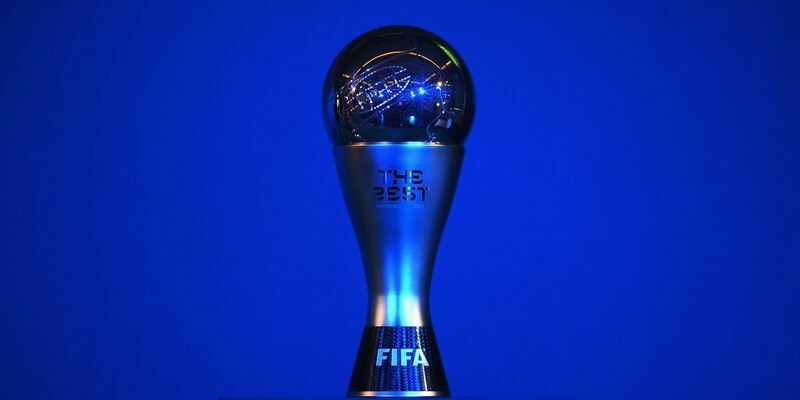 The team of the 2016-17 was also announced at the FIFA Best ceremony. With Italy’s Gianluigi Buffon at the post, the 4-3-3 squad had Dani Alves, Leonardo Bonucci, Sergio Ramos and Marcelo at the back. The three-man midfield had Luka Modric, Andres Iniesta and Toni Kroos, while the three forward comprised of Lionel Messi, Cristiano Ronaldo and Neymar. The prestigious event had numerous footballing stalwarts in attendance like Diego Maradona, Ronaldo, Frank Lampard, Sergio Ramos and Harry Kane, with winners decided by a jury of clubs and international coaches, media representatives and fans.